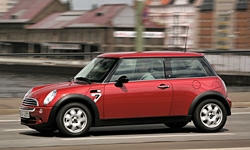 2005 Mini Hardtop Pros and Cons | Page 1 of 1 | Why Not This Car? What drives people to buy (or not buy) a certain car? 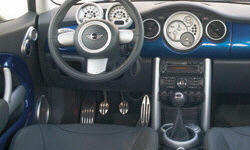 TrueDelta's members share 2005 Mini Hardtop pros and cons based on their real-world driving experiences. The series one new MINI to my mind is the most attractive. On subsequent "freshenings" the BMW stylists have added all sorts of bits and pieces just taking away from its original clean lines. Like a go-kart, quick and agile. Very responsive. This car reacts like a true sports car. You literally feel as if you are glued to the road as you round corners. Going in and out of turns puts a grin on my face. This car loves to corner.